While you cannot pinpoint a particular drawback, the remake faces ‘out of sight, out of mind’ syndrome. In spite of the action scenes being entertaining enough, nothing stays in your mind once you’ve left the theatre, barring the upgraded armour and gory images of the remains of Murphy’s body. You feel the absence of a menacing villain and thus a real fight (which happened to *Terminator Salvation* as well).Nonetheless, this Robocop manages to resurrect the franchise and establish a strong build-up for sequels to follow. In an attempt to modernise RoboCop and make it relevant to our darker, more violent times, director Jose Padilha loses sight of the point he wishes to make through the film. While on the one hand he remains opposed to drones and the free availability of guns, his portrayal of bloodshed is almost numbing.Several trains of thought are introduced in the film but very few really manage to come full circle, leaving the rest seem irrelevant. 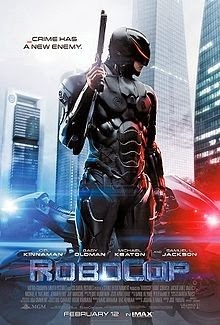 RoboCop tries to be something it is not and in that process, ruins everything it could have been. Video game fans will find parallels between the fight scenes and the popular game Call of Duty. Majority of the big action moments are dull and lack any originality. The track about American wanting to buy illegal arms and socio political subtexts seems too forced and has now become a regular reference in major Hollywood films. There is very little to no humor in the film. It’s like watching several pilot episodes of a new TV show put together in a long mini series! Entertaining in parts, the 2014 Robocop is heavy on the brawn and easy on the brain. This is a film that relies heavily on family values to complain about a technology that could ensure the protection of the basic social unit, which deploys technological progress in special effects to protest dehumanisation, relies on video game technology—inspired action sequences to leaven its sombre tone, and cautions us about nasty corporations while inviting us to gawk at their seductive slickness. In the middle of the muddle are well-judged performances, richly atmospheric cinematography, attractive production design, and further proof that advances in computer-generated imagery tend to make human beings redundant.